Here are a plain list of modules that really gives site builders front and backend super powers and make these two categories of developers closer than ever. It supports the creation of new pages, and allows placing blocks within that page. Like Drupal 7's Page Manager, it provides a concept of "page variants", each with their own selection conditions. Additionally, it can be used to take over an existing page, like overriding /node/% to change what is displayed when viewing a node. A collection of most used drush commands. The full list of commands is documented on Drush Commands. Download Drupal core and install it in 3 commands. 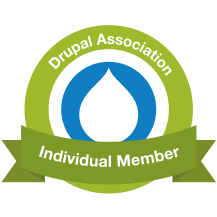 Things have evolved quickly, we have now a huge bunch of helpers since 8.2.x in core for Drupal to Drupal migration: Migrate, Migrate Drupal and Migrate Drupal UI. This setup is intended for production use on a dedicated server (VPS, ...). For development purpose it should be preferable to use Drupal VM, it comes with a default Solr configuration that can be enabled via the config.yml file. If you are using Drupal VM and want to configure Search API for Solr, you can jump to point 4. Some modules, like Address or Search API Solr, really needs an installation with Composer. We should now avoid to rely on Composer Manager (deprecated) so here is a kickstart. The use case is that we want to sort a list of users by job title, where job title is a term reference to a dedicated vocabulary. The sort is done by the job title term weight (defined via the vocabulary list). Summer was inspiring! A really pragmatic talk on how to apply Scrum from dasjo at the Drupal Dev Days Milan acted as a kick-starter and we decided to apply it in our small Drupal dev team at Tilt Factory. Request failed : The native Let's Encrypt client was used previously on this system, and must be used for all future certificate requests. Drupal 8 evolves quickly, and it's easy to get lost amongst the several documentations that have been written since the beta releases, Drush and PHP version needs upgrade. Some things that I have learned. Okay, VM's are easier to maintain solutions, but in some situations you just don't have enough RAM for having Virtualbox running all the time. After trying the latest dev release of VDD (needed to run Drupal 8, because at the time of writing this, the stable release is stucked to PHP 5.3), I decided to give a try to VLAD, another Vagrant alike solution. Main reasons : git and drush are not already installed on th VDD dev, and sometimes I got stucked on the vagrant provisioning. First reaction after installing VLAD : Woooooow !